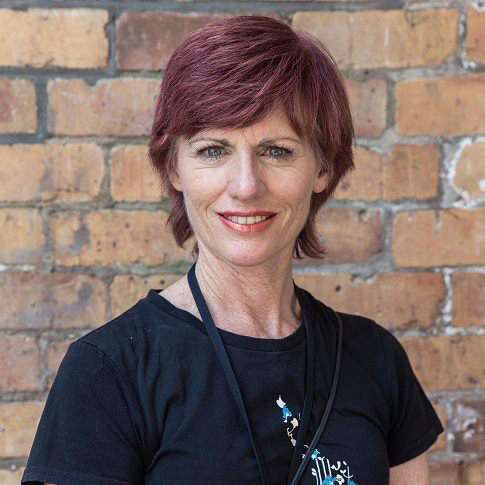 Touch Compass has announced that Catherine Chappell (MNZM), Founder and Artistic Director, will be leaving the company to pursue other opportunities and passions. In 1997, Catherine founded the Touch Compass Dance Company to develop and showcase the collaborative work of dancers with and without disabilities. Her work over the past 20 years has been seen both nationally and internationally, on stage, in pop-up outdoor locations, and on screen. Catherine’s role with the company has included Artistic Director, teacher, choreographer, mentor and producer. Some of her most well-known work includes collaborating on Lusi’s Eden and Lighthouse, and initiating the extraordinary DanceBox short film series. She is highly regarded as a pioneer for her aerial work, which has often seen dancers suspended above the stage. Over the last 20 years, Touch Compass has led the way as New Zealand’s foremost inclusive dance and performing arts company. The Board of Touch Compass applauds Catherine for her passion, dedication, drive and hard work for the company over the last two decades. “Catherine has been a pioneer in inclusive dance and paved the way for many dancers and companies across the country. We wish her well for her next ventures,” said Helen Jacobi, Chairperson. Original generation time 1.6525 seconds. Cache Loaded in: 0.0004 seconds.